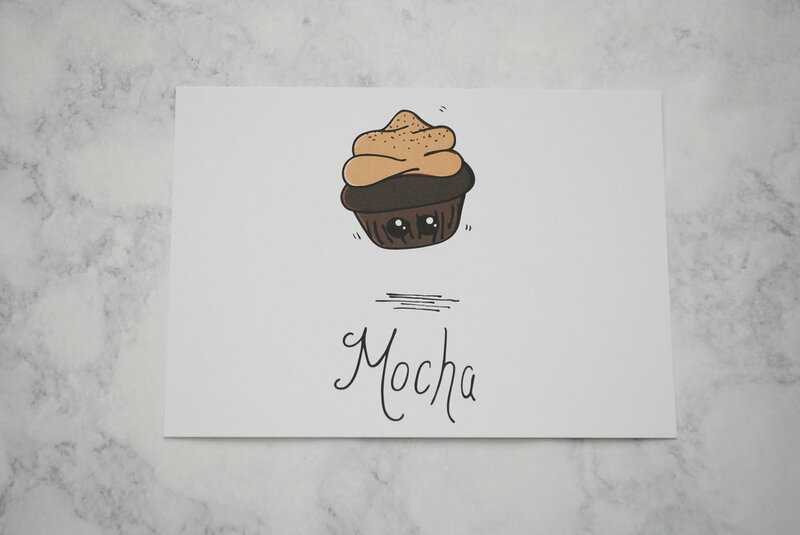 I have teamed up with a beautiful creative, Katie Meek, of Meekly Yours! Seriously how awesome is the name of her business!? Thanks to Rising Tide Society, Katie and I have collaborated to showcase some of her stunning pieces and give fellow creatives/girlbosses some insight on business and taking risks! Meekly Yours (www.meeklyyours.com) is a design, hand lettering, and illustration studio owned and operated by Katie Meek. Meekly Yours creates unique products using hand drawn lettering and illustrations and positive messages, including laser cut word signs, greeting cards, and art prints, that bring joy and whimsy to customers and clients. Meekly Yours also offers custom services for all products to make your special moments unique and personal. Make sure to check Katie out on Facebook (www.facebook.com/meeklyyours); Instagram & Twitter (@meeklyyours) and show her some love! How did you get started doing your business? After graduating from college, with a B.A. in graphic design, I worked in print production as a project manager. As a creative outlet, I started sketching and doodling more and decided creating my own cards and prints, featuring my designs, to share them with the world. I started creating designs at the end of 2014 and officially formed my business in January 2015. I have been in business just over two years. I'm inspired by everything around me, but a lot of my inspiration comes from seeing the work of other creatives, being in nature, and spending time with my friends and family. Hand lettering is a unique, expressive approach to design that I'm drawn to and bring me joy. I strive to create designs that are bright, positive, and help bring joy and personality to my customers and clients—whether it's brightening their home and office decor or celebrating a special event in their lives. What would you suggest to other creatives and girl bosses that want to grow their business? There are two main things I would recommend when starting and growing your business. First, be willing to take a leap of faith sometimes. Planning and troubleshooting is great, but at some point you have to take the jump and do what your planning to do—whether you're opening your business, adding a new product, or starting a new avenue of your business. There is no “right time.” Second, you don't have to and shouldn't do everything. Trends, business philosophies, and social media platforms come and go, but some may not be right for your business. Look at what makes the most sense for your business, your life, and your customers and it will all work out. My favorite piece changes a lot as I add new designs. 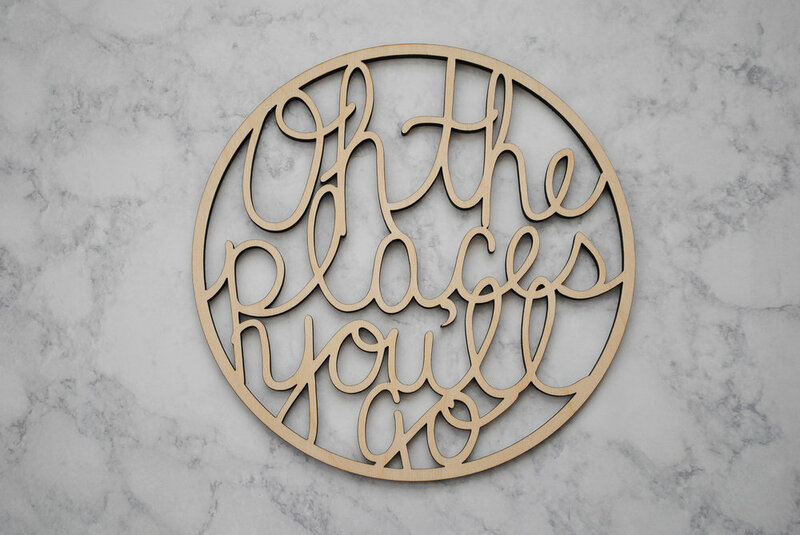 I love the “Oh the Places You'll Go" wood sign (https://www.etsy.com/listing/509951652/oh-the-places-youll-go-laser-cut-wood?ref=shop_home_feat_1) and the “Mocha” cupcake print (https://www.etsy.com/listing/509359428/cupcake-hand-illustrated-5x7in-mini?ref=listing-shop-header-3). The “Monstrous Salutations” card (https://www.etsy.com/listing/218562336/monstrous-salutations-card-hand-lettered?ref=shop_home_active_4) was one of my very first cards and is still a top favorite.